Shortly after that, she offered a little more information about exactly what she had, which turned out to be Trump’s 1040 form from 2005. It wasn’t exactly a full tax return from one of the last few years, but even the tiniest details could expose something surprising. 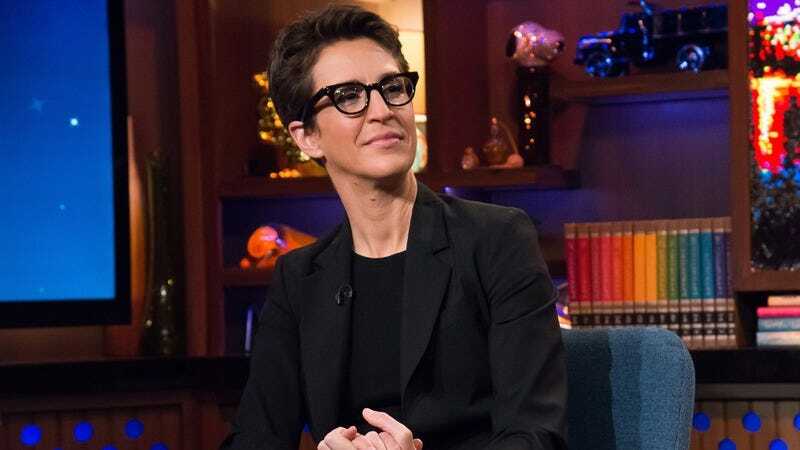 Maddow opened her show by explaining that the report on Donald Trump’s 2005 tax return was uncovered by journalist David Cay Johnston, who apparently found the document in his mailbox. Then, after about 20 minutes of preamble, Maddow finally showed the goods: One page, front and back, of tax-related numbers. She also confirmed that the 1040 form is real, and shared a statement from the White House that mostly said that everything is legitimate and that the media is breaking the law by publishing the tax return. As the show continued, Maddow and her guests repeatedly underlined why Donald Trump’s taxes are important, mostly focusing on the idea that it’s good to know where a politician’s money comes from in order to expose any possible conflicts of interest or—as people suspect with Trump—shady deals with foreign agents. In the end, though, the document that Maddow discussed on her show mostly just proved that Trump has a lot of money and that he was able to use that money to game the tax system in a way that normal people cannot.